Dr. Feranmi Okanlami (left) and Tyler Keller get the game started. Dr. Feranmi Okanlami races down the court following Seong-Hee Yoon. Seong-Hee is a rehabilitation engineer who works with Michigan Medicine's Department of Physical Medicine and Rehabilitation. Tyler Keller (left) and Michael Heinrich (right) defend a pass by Dr. Feranmi Okanlami in the first drop in game. Two courts of 3 on 3 games took place over the two hour game time. Players swapped in and out so everyone had the opportunity to play. Nearly 30 students, faculty and community members joined Oluwaferanmi O. Okanlami, M.D., M.S., assistant professor of family medicine and physical medicine and rehabilitation, on the basketball court for the first wheelchair basketball drop in games on campus. Dr. Okanlami is leading the movement to make the University of Michigan a leader in collegiate adaptive sports. “Thank you to all the players who joined us on the court and to the supporters who came out to watch us play. Our goal is for the University of Michigan to lead the nation in embracing diversity and inclusion by providing new opportunities to student-athletes, the greater campus community and patients.  Ultimately, we envision Michigan as pioneers in the development of an elite NCAA adaptive sports program and a leader among universities supporting adaptive sports. We're grateful to everyone one who joined us in this first step towards our goal and we look forward to seeing you on October 7,” noted Dr. Okanlami. They are held from 2:00 – 4:00 p.m. at the Intramural Sports Building at 606 E. Hoover. Games are open to all students and anyone over age 18. Just walk or roll on to the courts to learn more. Chairs are provided. 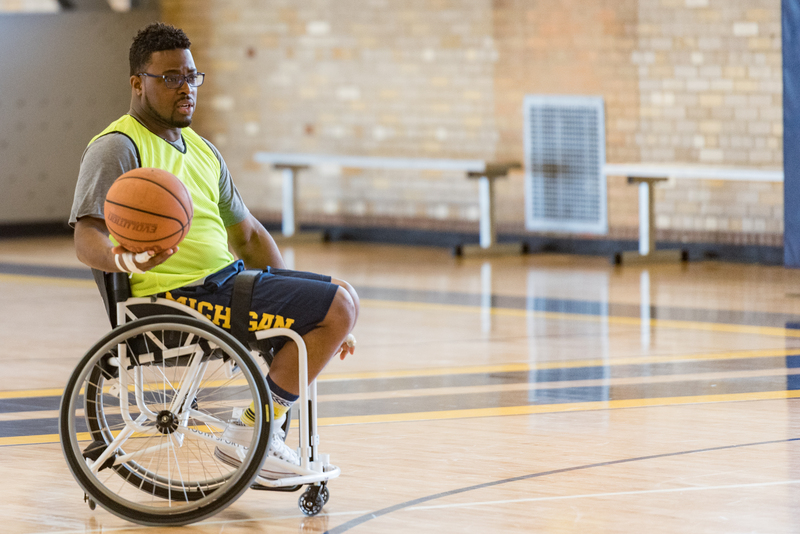 To read more about Dr. Okanlami’s vision, please visit, http://bit.ly/UMWheelchairBasketballand learn more about U-M’s efforts with pediatric adaptive recreational sports at https://medicine.umich.edu/dept/pmr/programs/occupational-physical-speech-therapy/university-michigan-adaptive-inclusive-sports-experience-u-maise.